Providence, RI (6/11/2018): The Rhode Island Reds Heritage Society will reach the peak of hockey’s iceberg when Willie Marshall, the American Hockey League’s all-time leading scorer, appears as special guest for the organization’s 18th annual reunion weekend on August 3, 4 and 5. The event is themed "Hockey Days are here Again." 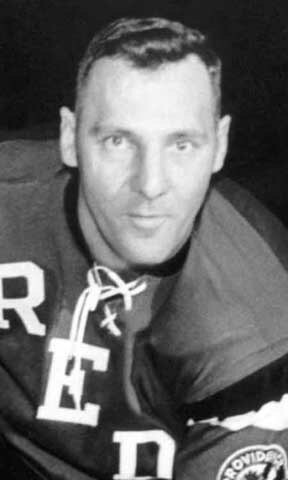 Marshall, who played three of his twenty AHL seasons with the Reds, is coming to town to receive the first annual Ray Ross Perseverance Award to be presented at Goddard State Park in Warwick on Sunday, August 5, starting at noon. The event also will headline as many as 20 or more ex-Reds and pro players. Inexplicably, his talents as a skilled center and playmaker were ignored by the National Hockey League (dressing for only 19 games with Toronto). Nevertheless, he and his career persevered dominantly in the AHL where he played 1,205 games, scored 523 goals, made 852 assists and totaled 1,375 points - all records never to be duplicated. Marshall is honored member of the AHL hall of fame, inducted in its inaugural year of 2006. He played for Pittsburgh, (4 seasons), Hershey (7), Providence (3), Baltimore (5) and Rochester (1). For more reunion information and reservations,contact Mal Goldenberg at 401-782-6623 or mal@rmcri.com. To purchase tickets to the Saturday night dinner-dance, click here to download the reservation form. To purchase tickets to the Sunday barbecue, click here to download the reservation form.